« Merry Christmas & Happy New Year!! My wife and I and my daughter and her husband had lunch at Antoine’s in New Orleans the Saturday before Christmas. 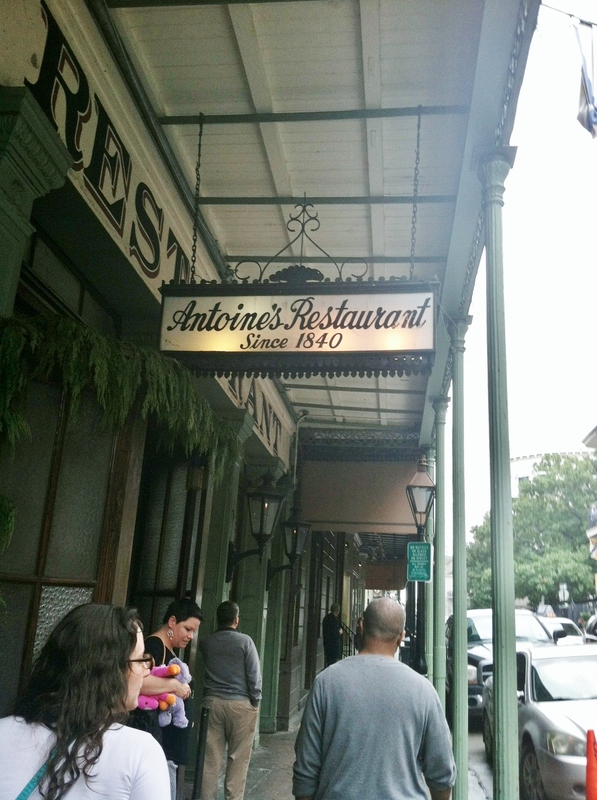 Antoine’s opened in 1840 and is the oldest operating restaurant in America. We had lunch in the main dining room which was dimly lit and focused on the large, beautiful Christmas tree located in one of the corners. The restaurant offers a three course lunch for $20.13. You have a choice of 2 offerings for each course. We all had the baked oysters for our first course. 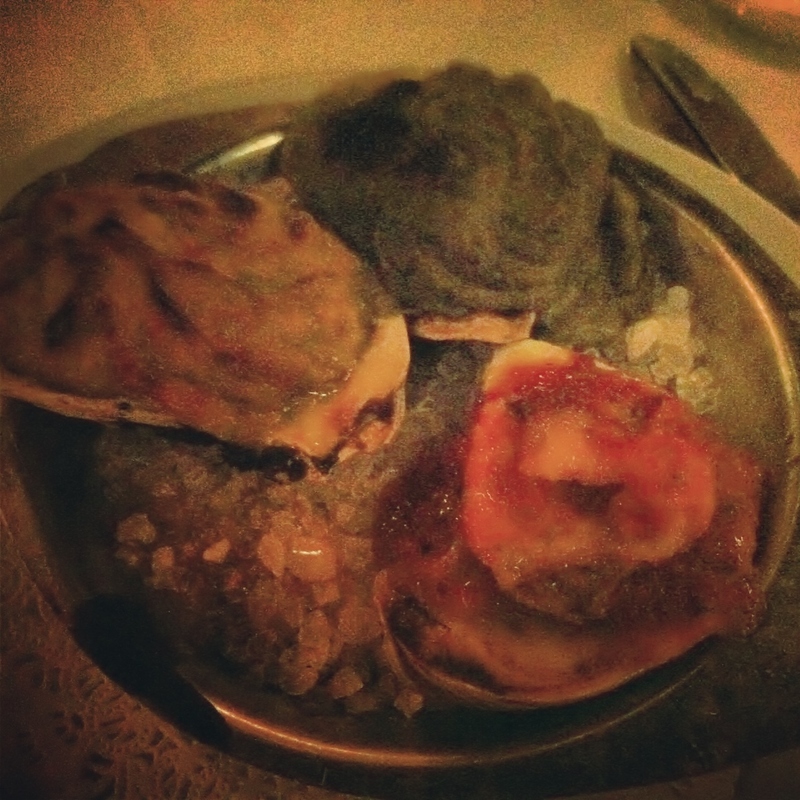 Everyone received an oyster Rockefeller, oyster Bienville, and oyster Thermidor. All were delicious, but everyone especially like the oyster Bienville. 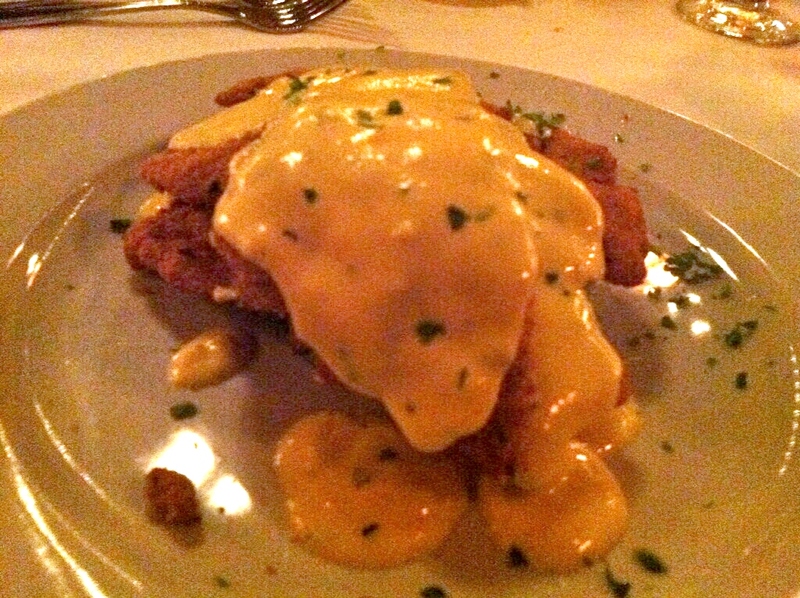 The second course offered a pork tenderloin stuffed with Andouille sausage dressing or a panneed chicken dish topped with béarnaise sauce with mashed sweet potatoes. Both were delicious. 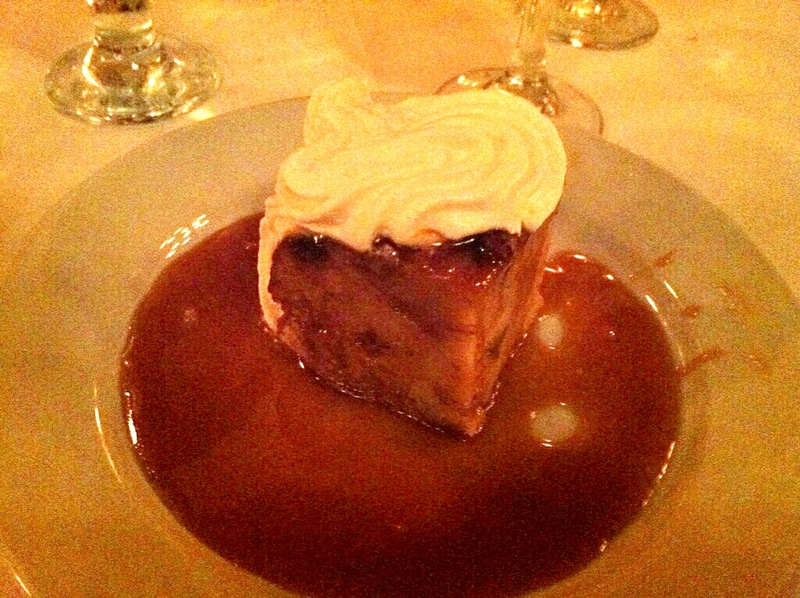 Dessert consisted of a pecan and raisin bread pudding (very good) and a pumpkin cheesecake. Along with the affordable meal were 25 cent fruit martinis. After the meal, we toured the many rooms of this museum-like restaurant. If you have never been to Antoine’s, now is a great time to taste some of their food at a great price, and this historic restaurant really looks great at this time of year. If you’re looking for a crowd-pleasing, unassuming white wine at a great price for New Year’s Eve, this Riesling is the ticket. It’s fruity with a slight touch of sweetness. 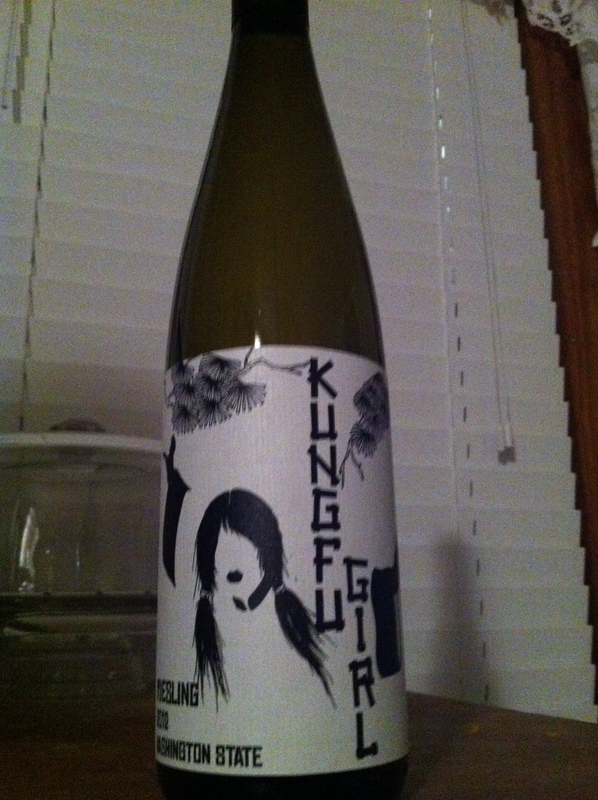 This wine, 2012 Kungfu Girl, by Charles Smith from Washington State made Wine Spectator’s Top 100, and at $10-$12, what a great bargain. 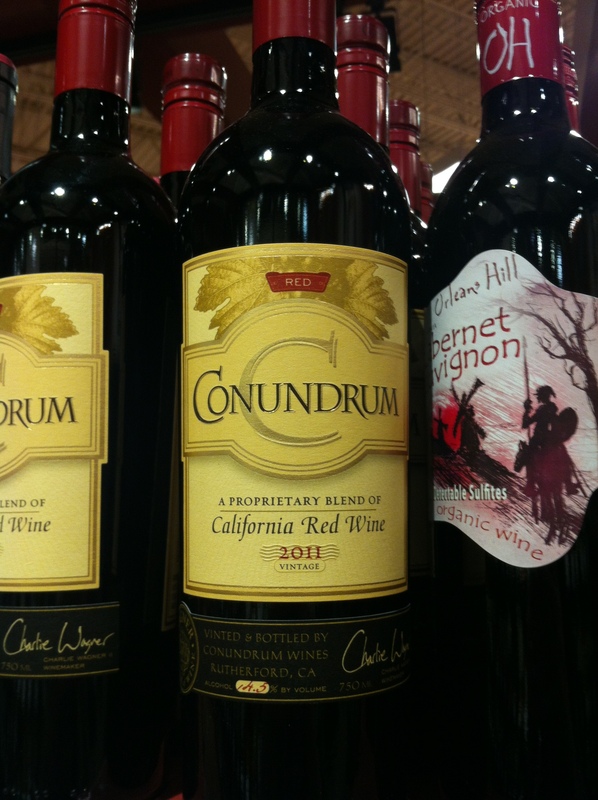 A good choice for a red wine for New Year’s could be the 2011 Conundrum Red. It’s a blend made by the Wagner family affiliated with the famous Caymus Vineyards. This red is fruity and very smooth. It’s a great sipping wine for the holidays, and at $15-$20, it won’t break the bank.